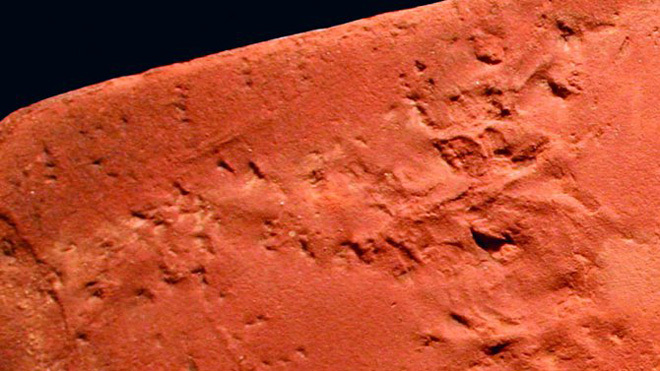 The old rocks of the Prehistoric Trackways National Monument in southern New Mexico hid a secret for some 280 million years. The World’s oldest known scorpion! Scientists recently found the World’s oldest scorpion in the Prehistoric Trackways National Monument in New Mexico. This newly discovered evidence proves once again that scorpions have been on this planet for millions and million of years. The 280 million year old scorpion fossil doesn’t look like much, but this vague rock impression has been identified as the ONLY fossil impression of an entire scorpion body ever found. The scientists believe that the scorpion rested on the rock for a short time, and then eventually scurried off. The result was an imprint of its body which eventually turned to hardened fossilized stone. Scientists named the 280 million year old scorpion that they found Alacranichnus; which is a combination of Spanish and Greek meaning scorpion trace. Scorpion fossils are extremely uncommon worldwide, especially in this extraordinary condition. Most of the time, these fossils are only found in small bits and pieces. In fact, there is actually a huge gap in scorpion fossil records. Currently there are no records for North American scorpions between the newly discovered Permian era scorpion (approximately 280 million years old) to scorpion fossils in the Middle Eocene era (about 45 million years ago). The amazing new scorpion fossil will be displayed in the New Mexico Museum of Natural History and Science (NMMNHS) museum’s upcoming Paleozoic Hall. It has not been determined exactly what species of scorpion is represented in the newly discovered fossil. Scorpions are the oldest known arachnids in the world. Scientists have discovered a few scorpion fossils, dating back to the Silurian Periods about 430 million years ago. These scorpions have been determined to be aquatic scorpions. Million of years later (359 million to 299 million years ago) in the Carboniferous era, scorpions made their way out of the water, and eventually took to land. Until this recent discovery in New Mexico, there were no other fossils of land scorpions, with fossils petering out. The newly discovered scorpion fossil dates scorpions way back to the beginning of the Permian era. This fossil confirms that scorpions have survived a lot of huge mass extinction events between then and now, proving what we already know… Scorpions are hardy creatures. What’s more, seeing how the carbon dioxide levels in the Permian atmosphere were probably three times what they are today on Earth, it’s not likely climate change will stop these hardy arachnids either. Today, scorpions are considered to be one of the most significant pests that afflict millions of residents throughout much of the Southwest United States. Scorpions prefer the outdoors but will wander inside through cracks in our homes. 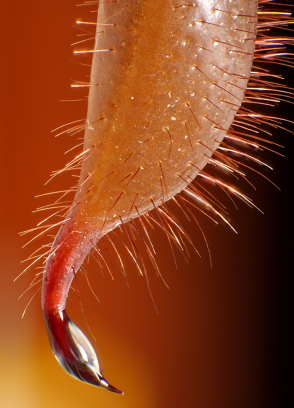 In fact, these malevolent stingers can squeeze through cracks as small as a credit card’s width. Once inside, they often make their way into shoes, piles of clothing and beds which, increases the chance of a human being stung. 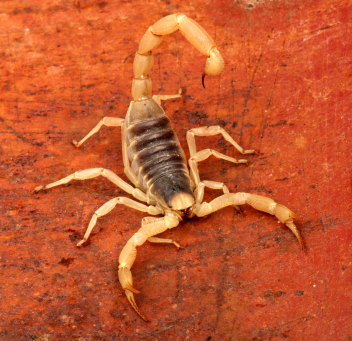 Seeing a couple scorpions a week in your home would likely qualify as a significant scorpion infestation. In cases such as this, professional scorpion control measures should be taken.